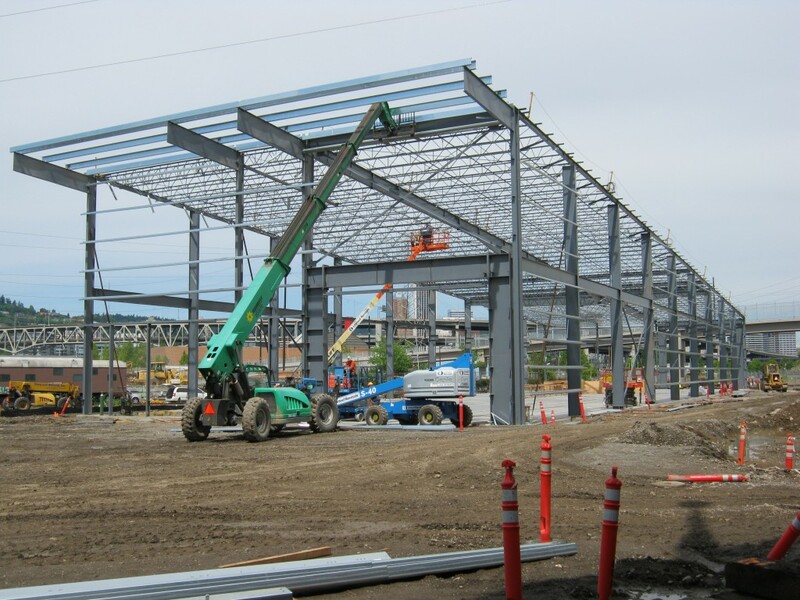 We are excited to share an update on the construction of the new Oregon Rail Heritage Center. As of May 25, the outer shell of the building has been completed. Wood roundhouse doors will be installed in the large frames on the north and south walls. Portland Parks & Recreation is proud to partner with the Oregon Rail Heritage Foundation to help secure a permanent home for SP 4449, SP&S 700 and OR&N 197 historic steam locomotives. The engines, which are owned by Parks, will eventually be housed at the Center. We look forward to celebrating the opening of the Center later this summer. Click here to see more pictures of the construction progress.